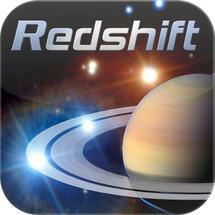 Astronomy buff looking for apps? Nothing is more humbling than looking up at the star filled sky and realizing what a tiny speck each person truly is in regards to the entire universe. For some being a stargazer happens by chance on a clear night when the sky is putting on a spectacular show. For other stargazers it is a passion that draws them to look up into the heavens regularly with questions about what they are seeing. The following ten astronomy apps (in no particular order) are all helpful at deciphering all those dots of light as well as seeing various astronomical wonders that might not be visible due to area or cloud cover and images of things far out into space. If astronomy is your favourite subject you might just want to have a couple of them on your mobile device. Luminos has many tools that stargazers will find enjoyable and useful. There are articles for over 1,000 stars, ability to view landing on the surface of planets, ability to control remote telescopes, monitor eclipse paths, plan observations (calendar), follow thousands of satellites, track asteroids and comets and view stars, galaxies, planets and moons. A unique feature lets you put into night vision mode so you can see the app while viewing the night sky. The developer has a number of tutorial videos on their website to assist with learning how to use all the features. All features are available for one low price. 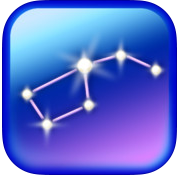 The best feature of Star Chart is the ability to point an AR enabled device at the sky and the app will tell you precisely what you are looking at. Because it uses GPS technology it can even do this during the day. Here’s another trick – point your device down instead of up and it will tell you what people are seeing on the other side of the earth. You can even manually put in a location to find out what the sky is anywhere in the world. Another great feature is the Time Shift feature which lets you move forward or back in time by as much as 10,000 years. The basic app is free but it will cost you a few bucks here and there for add-ons. Google launched Sky Map in May of 2009 and then in January of 2012 they donated it to the community. It has been open-sourced and any further development will be accomplished through student projects at Carnegie Mellon University. It is a simple to use app that uses GPS and other features in an Android phone to give users the location of stars, planets and other celestial objects right where they are located. A manual mode lets users explore the rest of the sky as well. 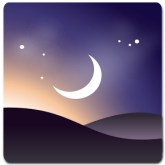 This app is perfect for the stargazer that just wants to know what they are looking at but does not need detailed information about the stars and planets. Although it doesn’t have nearly the bells and whistles of other apps, it is nice to have such a simple tool. 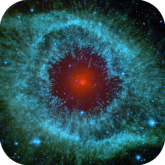 This is the app for seeing all those great images taken by NASA/JPL space missions and then using them as backgrounds or wallpaper on your device or even sharing them with friends. With an extensive collection of photo albums that can be searched or browsed by category there are likely going to be plenty you want to share. 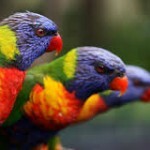 Users can rate the photos and view those that have made the Top Rated list. There are also videos on the app that can also be shared. Even if you somehow manage to look at all the images and videos, never fear because new content gets added frequently and can be found in the Latest section. The fact that the app is free is icing on the cake. Star Walk HD by Vito Technology Inc. Although not a free app it is reasonably priced and well worth the investment. The app gives users a beautiful interactive guide to the night sky as it follows your movement with your device. Not only are users able to instantly know the names of what they are seeing but by selecting the info icon they also get information about what they are seeing. There is also a Time Machine feature that lets users view the map both to the future and the past. An extra feature is the ability to connect with others in the Star Walk twitter community. There is also a comprehensive stargazing calendar of upcoming visible celestial events which includes such things as comet tracing and iridium flares. Users might also enjoy the TELRAD feature to measure angular distance between nearby stars. Those interested in satellite tracking will enjoy the ability to find out exactly where the ISS is (8000+ satellites) at any time. While many astronomy apps include satellite tracking in their apps, this company has two separate apps. GoSatWatch (http://www.gosoftworks.com/GoSatWatch/GoSatWatch.html) is their app for satellite tracking. Although this is not a free app they do not charge for each device so you can buy it once and use it on iPhone, iPad and iPod touch at no additional charge. 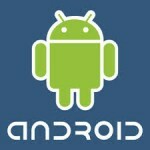 This app does some interesting things including identify, find and explore in a way that will enthrall users. The app has very powerful graphics capabilities for a truly interactive experience. Enjoy an actual image taken of the Milky Way, use time lapse animation to see how the sky looked on the day of your birth (or anytime! ), find sunrise and sunset times and do it all without needing an Internet connection (only needed optionally for auto location, accessing Wikipedia information and StarTales.) The developer states that many more enhancements are on the way and will be free updates to those that already have the app. The developer has demo videos on their website. 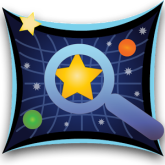 This app has a catalog of over 600,000 stars that are displayed as a real time zoomable sky map. It also has many nebulae and galaxies with pictures of some of them. 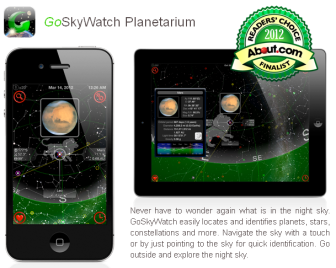 This is an inexpensive app that puts an entire planetarium right on your phone. It was created by a two of the developers that developed the famous desktop astronomy and planetarium software by the same name. The app does take quite a bit of memory to run so it may be best to close all other apps while running it. 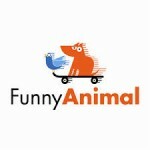 It is a fairly new app though so it is likely some great enhancements will be coming soon. This is an old-timer in the world of mobile astronomy, in fact it has been around on various mobile devices since 1999 and was the first iPhone app to add a true augmented reality view using the camera. 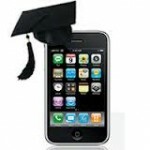 They also upgrade regularly to add new features to continually offer their customers the best possible astronomy app. Besides the features of other apps this one also has built-in quiz games (with Leaderboard achievements) and updated news. 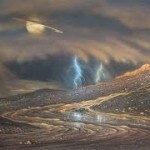 They have over 80,000 stars as well as information on moons. Users will never miss an important event thanks to pop-up notifications. Users should be sure to check out the virtual visit to the surface of Mars too! You would think with all the free and under $10 astronomy apps out there that one that had a price tag over $10 would not garner much attention yet this app enjoys nearly a five star customer rating. Consider some of the features of the app: 100,000+ stars, 500 deep sky objects, 30 biggest asteroids, 10 famous comets, all major and dwarf planets, solar system in 3D, 3D flights to the moon, planets and stars, night vision, time travel and comprehensive astronomical data for all celestial objects. This all equates to a powerhouse of an app for the money. Take a look at one of their videos at http://www.youtube.com/watch?v=oz-V7RIZCtQ to see if you agree. Although this developer also has a standard version of this app the Pro edition is really special and just had to be included on this list. 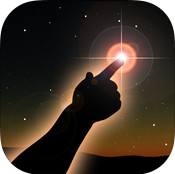 At just under $20 it is by far the most expensive but it is also an incredibly expansive pocket planetarium app. Users can further customize their experience with specific in-app purchases (generally $.99) such as stellar smoke rings. Although it might be a shorter list to say what this app doesn’t have, let’s proceed with a few of the high points: 2,500,000 stars with 8,300 with physical characteristics, extensive moon map with 9000 references, 1500 satellites, deep sky objects including 110 Messier, 7840 NGC, 300 Abbel Clusters and Caldwall (full), compass support, time slider, twilight views, Telrad, night vision, catalogue search, custom user locations, 470,000 asteroids (with in-app update), 800 comets (with in-app update) and telescope control through Wi-Fi for most devices. This app enjoys a near 5 star rating. All of these astronomy apps are quite amazing and regardless of which a person chooses they will be thrilled at the knowledge they can obtain about everything in our universe. Whether one goes with a free app or an expansive app is truly up to personal preference and budget. Another decision this list might help with is determining whether an avid stargazer would want to have either an iPhone or Android device because of the ten only three are available on both types of devices with six only on iPhone and one only for Android. Happy stargazing!